Sergeant First Class Ikaika Erik Kang has been sentenced to 25 years in prison by a US court for attempting to aid Daesh, a designated terrorist organization. The US Department of Justice announced Tuesday that Kang, 35, had been sentenced to a total of 300 months in prison, to be followed by a further 240 months of supervised release. He attempted to provide material aid to the Islamic State of Iraq and Ash-Sham, also known as Daesh, earlier this year after becoming radicalized in 2016, according to court documents. Kang pleaded guilty in August to terrorism charges. "Kang swore to defend the United States as a member of our military, but betrayed his country by swearing allegiance to ISIS and attempting to provide it material support," Assistant Attorney General Demers said, according to the release. "With the sentence imposed today, he is being held accountable for his betrayal and his crimes. I want to thank all of the agents, analysts and prosecutors who are responsible for this case." "Defending our country from terrorism is a core mission of the Department of Justice," said US Attorney Kenji Price. "Today's sentence is the result of the hard work and dedication of all of the federal agents and prosecutors who work tirelessly every day to keep our community safe." According to the DOJ release, Kang tried to give undercover FBI agents sensitive documents, believing he was funneling them to Daesh, and made comments about wanting to commit public acts of terrorism and violence. "Kang was given numerous opportunities by the undercover agents to return the classified military documents," the document states, noting that after swearing allegiance to Daesh in the presence of an FBI agent posing as a Daesh operative, he was taken into custody. 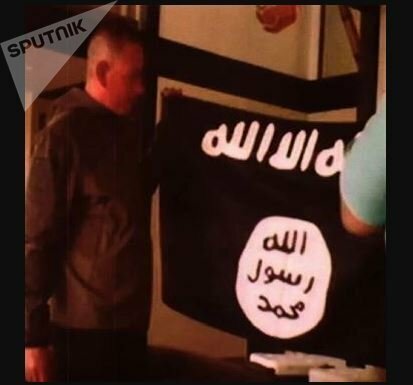 In February, Nicholas Young, a Metro Transit Police Officer in Washington, DC, was sentenced to 15 years in prison for trying to aid Daesh and for obstructing a grand jury, Sputnik reported.